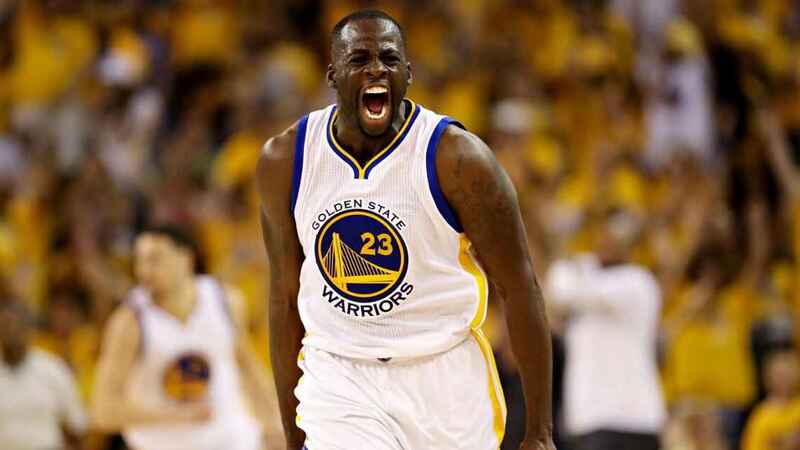 Golden State Warriors forward Draymond Green‘s two technical fouls for yelling after dunks this season make him want to holler. Green told The Undefeated after the Warriors’ 122-96 win over the Oklahoma City Thunder on Thursday that he received an unwarranted technical foul for screaming in excitement after a block by teammate Kevin Durant. Green also believes he was assessed an unwarranted technical foul for screaming after a dunk during a season-opening loss to the San Antonio Spurs on Oct. 25. The fifth-year NBA veteran said he is confused as to whether he will be able to yell in excitement for anything that happens in games going forward. “I got two techs this year for yelling, ‘Ahhh’?” Green told The Undefeated. “At this point, do I need to wear a mask? Am I allowed to show emotion on the floor? That’s who I am. I play with emotion. Green, known as one of the biggest trash-talkers in the league, plays with a lot of passion and has no problem speaking his mind on and off the floor. He accumulated 12 technical fouls during the 2015-16 regular season. The 2016 All-Star was also suspended for Game 5 of the 2016 NBA Finals after accumulating his fourth flagrant foul of the postseason when he hit Cleveland Cavaliers forward LeBron James in the groin. With his technical troubles in mind, Green said he has made it a point not to speak to the referees this season. Green said he hopes that both of his technical fouls for yelling will eventually be rescinded by the NBA. He also expects Warriors general manager Bob Myers to give the NBA a call on his behalf. The NBA fines players $2,000 for each of their first five technical fouls. The fines increase by $1,000 for each five until the 16th technical foul, when the player will be docked $5,000 and suspended for one game. Green has not received any other technical fouls this season for the Warriors (4-1), who next face the Los Angeles Lakers on Friday. “I look forward to getting an explanation on the first and the second one,” Green said. “You can’t yell after a good play? So I’m looking for an explanation for both. I think they both should get rescinded. They said I was disrespecting the referees.